Welcome to the About Us page of Virtual Reality Tips Today. Here you will find out what we do and the inspiration behind the establishment of Virtual Reality Tips Today. As our name implies, we are a virtual reality niche blog and our focus is to provide you with tips needed to get you acquainted with the latest VR gadgets and also not forgetting augment reality. This is our primary aim. We hope to update you with changes in the virtual reality industry as soon as we get hold of the information. Welcome to Virtual Reality Tips Today. Your number one Virtual Reality Blog Guide. Are you looking for the best VR headset for your iPhone?..What did I just say? Are there VR Headsets for iPhones? Find out right here. Remember sometime in 2016 Apple promised its highly valued customers that they would include good virtual reality features on its flagship phones and it eventually came out with iPhone X and the iPhone XR, XS and XS Max will surely be compatible with a good number of VR headsets. How do you determine the best Virtual Reality Headsets that exists in 2018? There’s always the cool, the great and the inexpensive headsets. 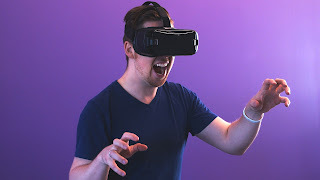 Today VR Tips Today, a blog focused in providing valuable content about Virtual and Augmented reality would be giving an ultimate guide on the top virtual reality headset you should know about, this would serve as a user guide before you think of purchasing your next vr headset or even your first vr headset. Are you looking for the best Virtual Reality (VR) games you could play with your VR systems in 2018? 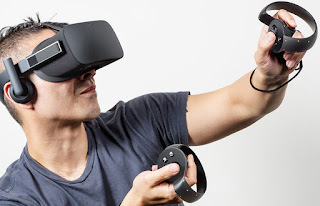 Then this is the right place to get that full tips and reviews as Virtual reality Tips and Reviews presents to you the top ten vr headsets of 2018.